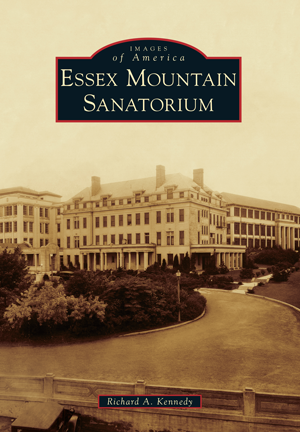 Founded in 1907 amidst protests and a burgeoning suffrage movement, Essex Mountain Sanatorium was the result of two Montclair, New Jersey, women who successfully lobbied local government to establish a tuberculosis sanatorium in a then vacant cottage for wayward girls. From these humble beginnings, the hospital grew to become one of the finest treatment centers in the nation, expanding into a complex of 20 buildings that encompassed nearly 300 acres. Ironically, medical advances pioneered at places such as the sanatorium and the advent of antitubercular drugs in the years following World War II led to decreasing patient enrollment, which made such large facilities unnecessary. When it was eventually abandoned in the early 1980s, the hospital began its second act as a haven for urban explorers, vandals, and arsonists, becoming shrouded in mystery and the source of local legends and myths. After suffering years of neglect and abuse, the main complex would finally fall to wreckers in 1993, ending an important era in county, state, and national history. Author Richard A Kennedy, an amateur historian and past explorer of Essex Mountain Sanatorium, has amassed a collection of photographs culled from libraries, historical societies, and private collections to pay a final, lasting tribute to this once grand institution, which is now lost to time.